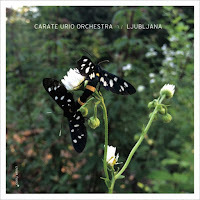 The Carate Urio Orchestra are not the easiest group in the world to pin down. First of all, take their name: far from being an orchestra, they are only seven players strong. Then, listen to the records - from 2013’s Sparrow Mountain to this year’s Lover (reviewed here), and now this live recording simply called Ljubljana, the Orchestra produce a dizzying and intoxicating blend of jazz, free improvisation, folk, and noise. It’s to the credit of the players that such a mix of musical approaches doesn’t just fold in on itself - in fact, the transitions, transformations, and startling combinations are near-seamless, and there is always a strange sense of coherency lurking beneath the dense, brambled undergrowth of the Orchestra’s sound. Despite the occasional forays into melodic songcraft and mutant freak-folk, there is no doubt that the group focuses most of their energy on improvisation: the granular textures, the swirling shapes that swell into billows of ecstatic noise - it’s all here. The opening track, “Winterthur / accords dans l’air,” is the longest piece, and it starts the set off with a burst of energetic playing: Roig’s guitar calls to mind Sonny Sharrock with its fiery, freewheeling arpeggios; trumpeter Eirikur Orri Olaffson and clarinetist/saxophonist Joachim Badenhorst let loose a spectacular, imposing overture that, incidentally, is something of a misdirection - while the group does occasionally ramp up the intensity and unleash surges of sound, they are more likely to simmer, only sending out stray sparks when the moment suits them. “Amemasu” is an example of this. It starts with Badenhorst’s meandering B♭ clarinet and the tentative bumbling of a double bass - innocuous and even soothing. The first few minutes are the musical equivalent of traipsing through a twilit forest; the melodies are succinct and light, and they bounce along like beams of light reflecting off of leaves. Around the mid-point, however, guitar feedback seeps into the pastoral scene, and the whole piece is soon flooded with an indistinct sense of dread. “Chhia-chãm” marks a departure from the textural explorations at the beginning of the set, with Sean Caprio’s soulful vocals leading the way through a melancholic and heartfelt tune that is near-spectral in its simplicity. “Epic Silent” and “Sola ni mayagali” are cut from the same, hushed cloth, but the latter is eventually sliced open to reveal a gorgeous, hymn-like melody rustling quietly underneath. When Badenhorst’s tenor saxophone rises from the murk to offer a warm, plaintive solo, it’s particularly haunting, especially because his lines lay atop a blanket of buzzing, pulsating noise. “Vers la chute” closes the set on a high note, with Caprio’s drums cascading wildly, Roig’s guitar spitting, scratching, and squealing, and an ecstatic barrage of Ayler-esque folk-jazz from Badenhorst and trumpeter Eirikur Orri Olaffson. Through all of this, bassists Brice Soniano and Pascal Niggenkemper, as well as violist Frantz Loriot, provide a thunderous low-end that helps to envelop the listener and, ultimately, force them to submit to the squall. 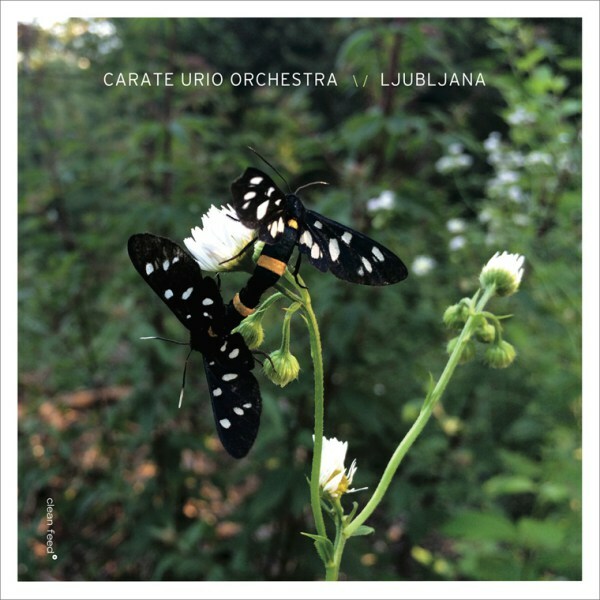 Admittedly, with a group like the Carate Urio Orchestra, to submit is not to be defeated; if you give your complete attention to the oft-perplexing, but always exhilarating, sounds on Ljubljana, you are sure to be rewarded.